As we approach the holiday travel season, Google has updated Google Flights to help all of us get the best prices on flights for the routes we are interested in. From showing likely increases in prices to recommendations on alternate airports or dates, these are new features you are going to want to explore. One of the newer features is a notice for when a current fare could expire and how much cash you could save by booking immediately. Google’s example (image above) shows a flight to San Diego that will cost $87 in around eight hours. A similar example would be Google letting you know that it might be best to wait a couple of days to book, as price history suggests a drop is incoming. 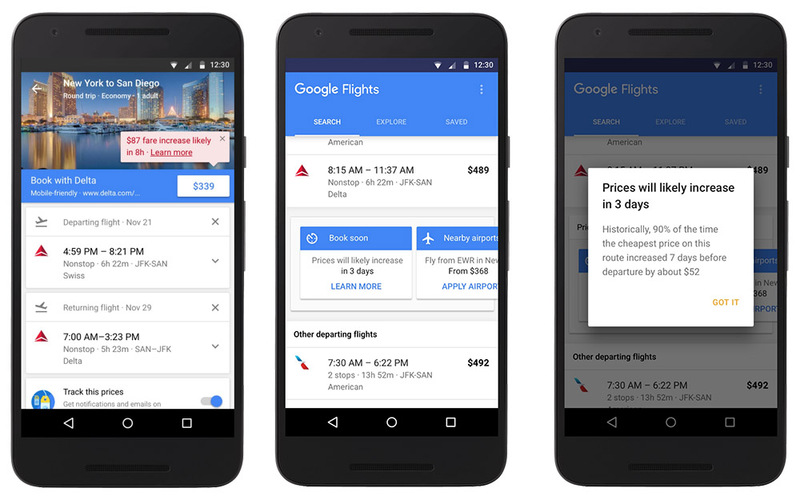 Google Flights can also recommend alternate airports as you browse flights, show you potential price jumps based on history for that route, let you fully track flights with email alerts, and get access to your saved flights while on mobile. If you aren’t using Google Flights to book travel or at least help you compare rates, I highly recommend checking it out. I’ve been using it for a few years now and can’t imagine preparing to travel without at least doing a quick search through it. They are also making it more obvious which hotels have the best deals at the moment. 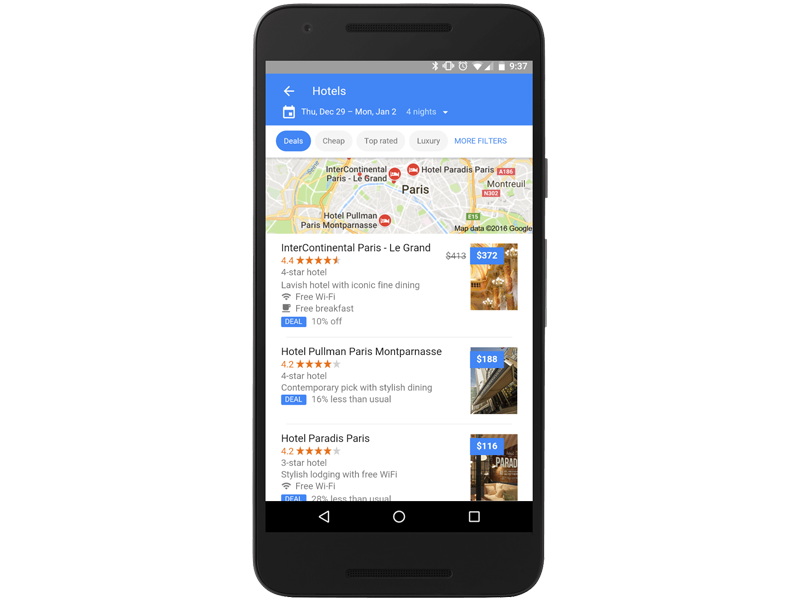 As you use Google to search for hotels, you’ll see results tagged as “DEAL,” but if you want to limit all listings to those that are discounted at the moment, a new “Deals” tab has been added. Tap that and your results will be filtered. To get to Google Flights, hit up this link. 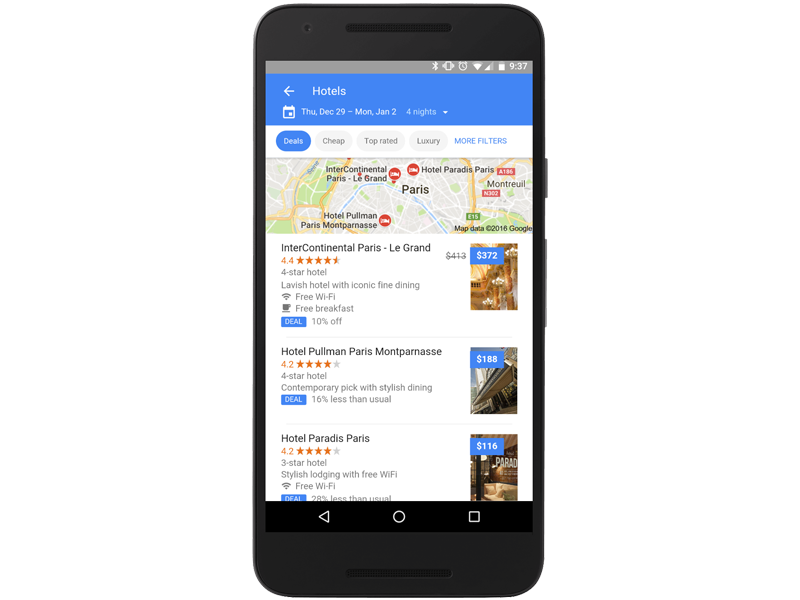 To search for hotels, just open up Google and search for something like “hotels portland oregon” to get listings with a map.